If you’re looking for new, innovative beauty products that are both vegan and cruelty-free, Petit Vour has you covered. All the beauty items included in the Petit Vour beauty boxes are clean, non-toxic, made from only vegan ingredients and have never been tested on animals. 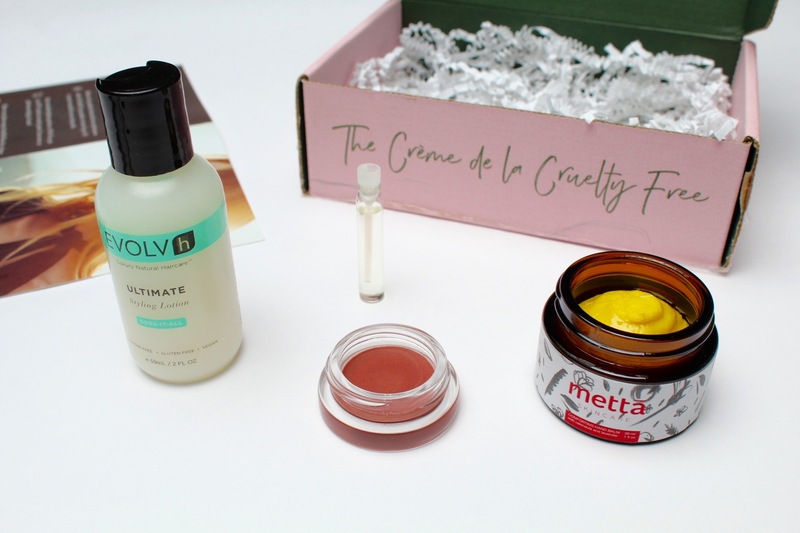 Read our detailed Petit Vour review to see if this is a good beauty subscription box for you. Petit vour is a monthly vegan beauty box that costs $18 a month and delivers four beauty items including makeup, skincare, body care and fragrances. The contents included in every box are always valued between $45-60. 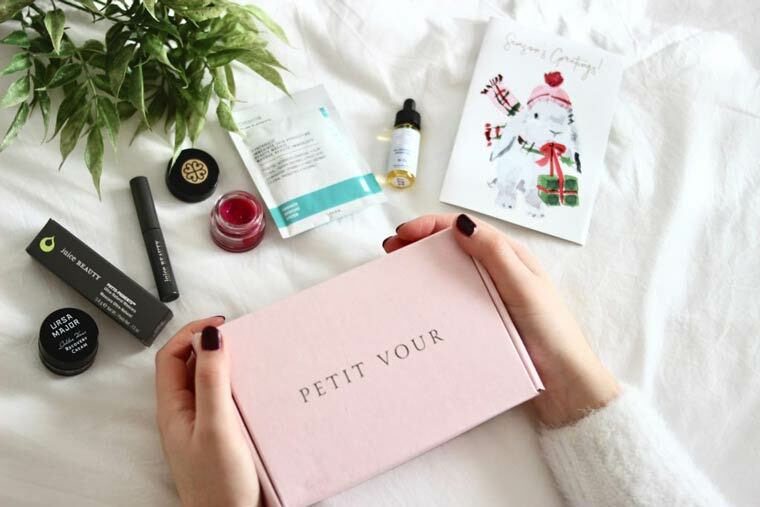 Petit Vour is one of the few beauty subscription boxes that offers a luxurious mix of clean, vegan and cruelty-free products. You also won’t find any toxic ingredients or chemicals in the products they send you. While Petit Vour began as just a beauty box, the company has now expanded into so much more. 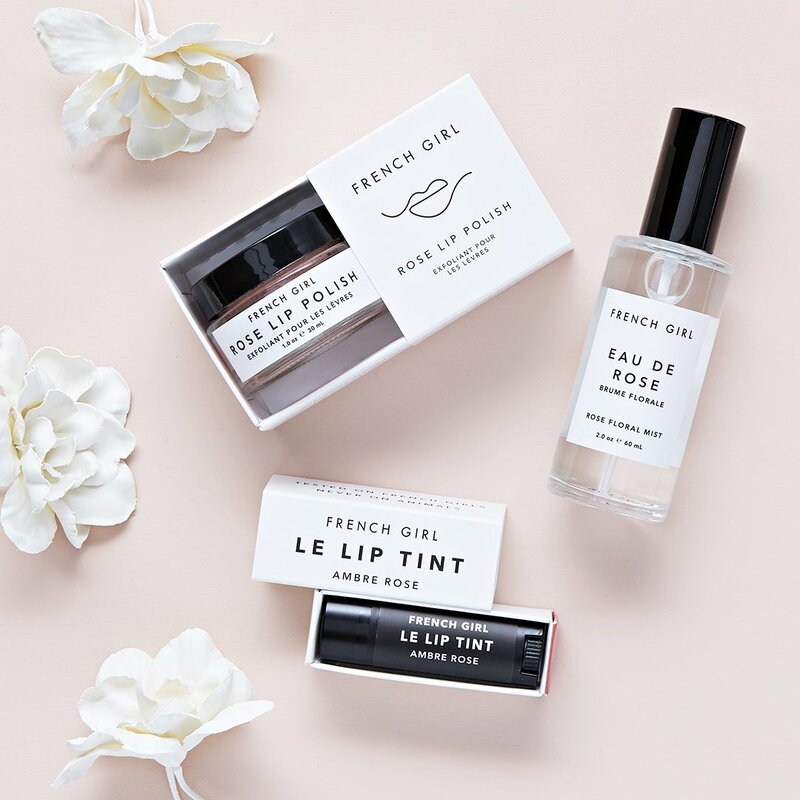 You can use your Petit Vour points to shop ethically made and sustainable fashion brands, accessories and home goods or shop the latest in vegan luxury beauty, hair care and body care. Everything offered on the Petit Vour website is free of animal-derived materials and is eco-friendly. It’s hard to find a good beauty box that ships internationally. Many beauty subscription boxes are limited to shipping within the United States and Canada. Petit Vour is one of the few that offers worldwide shipping. Just be prepared to pay any extra taxes and levies your country might apply to imported foreign goods. Petit Vour is currently offering free international shipping with code: FREE SHIPPING. Enter this code before checking out to get the savings! The price of this monthly vegan beauty box recently dropped to just $15 per box in January 2019. While other beauty boxes like Birchbox and Play! by Sephora offer similar pricing at $10 a box, these boxes only offer sample-sized products. Petit Vour, on the other hand, offers a mix of both full-size and sample-size beauty products. Ethical products: All products sent by Petit Vour are completely vegan and cruelty-free. 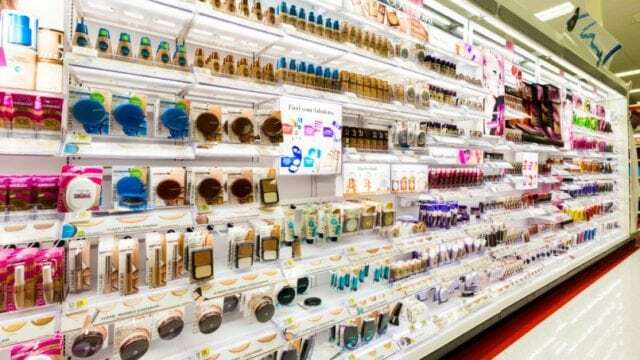 This way, you can feel good about the beauty products you use. Free U.S. Shipping: For customers based in the United States, shipping is free. 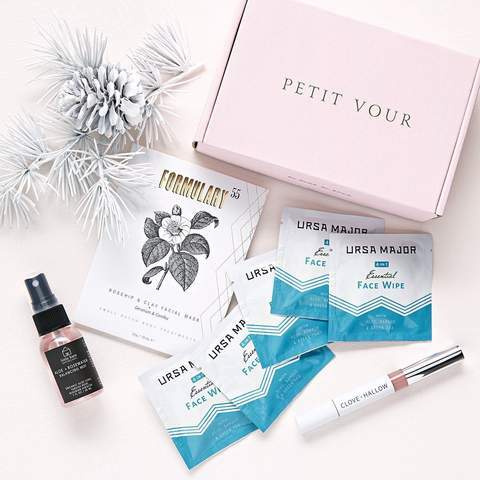 Rewards points: You’ll get $4 in Petit Vour points every time you review your beauty box through your customer account. You’ll also receive 20% of every purchase you make through Petit Vour back in loyalty points to use on future purchases through the website. Size varieties: This box gives a mix of full-size and sample-size products. This lets you get the best of both worlds. Worldwide shipping: This subscription box is one of the few that offers both U.S and worldwide shipping! For international shipping, you’ll be charged the appropriate custom taxes and levies in addition to the cost of the beauty box. Shipping fees in international countries will vary from $14.99 to $19.99. Only vegan brands offered: If you’re vegan and look for cruelty-free products, this is a great pro. However, if you’re looking for a little more variety, this box might not give you all that you’re hoping for. Fewer items: This box only offers four beauty items in each box. Other brands offer five, six or even more each month. The Petit Vour beauty box is a great way to try out new vegan, cruelty-free beauty products for an affordable price. Each box costs just $15 (prices dropped from $18 in January 2019), but the contents are always valued between $45-60. The November 2018 we reviewed had a total value of $51. Petit Vour is worth the cost compared to other beauty box brands with similar pricing. Because Petit Vour sends you both full-size and sample-size beauty products, it’s a better deal. To give you an idea of the quality and contents in a typical Petit Vour box, we’ll go over the contents of the November 2018 box in this part of our Petit Vour review. 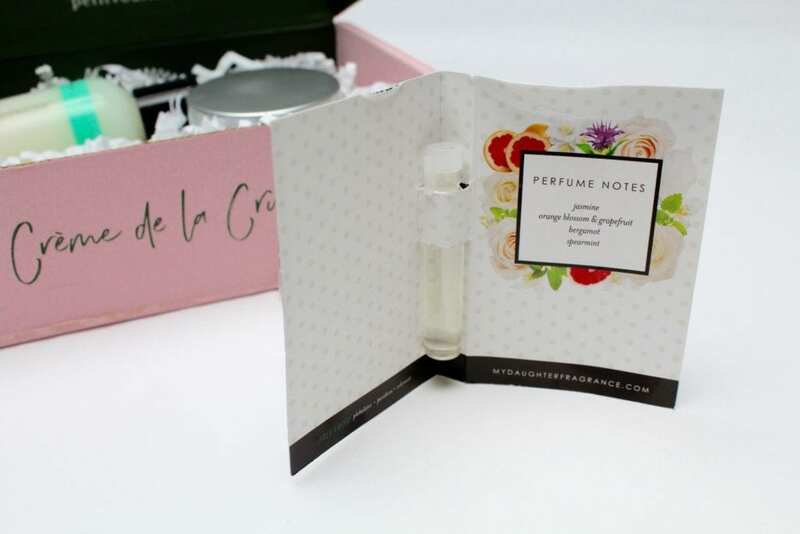 Every petit vour beauty box comes in a light pink cardboard shipping box with a dark green interior. Products are packed in paper confetti to keep them from breaking during transit. The November 2018 box included vegan beauty products form Metta Skincare, Donore, Evolvh and My Daughter Fragrances. This lip and cheek stain from Donore was one of two full-sized beauty items in the box. The formula is blended with sea butter and essential oils to help plump and condition your lips. It’s a 100% natural lip and cheek color made from natural fruit extracts. The texture of this product is extremely hard. You have to really press your finger in a few times to get enough color to apply, and the color is very subtle. It’s a great product to wear every day for a hint of color on your lips and cheeks. 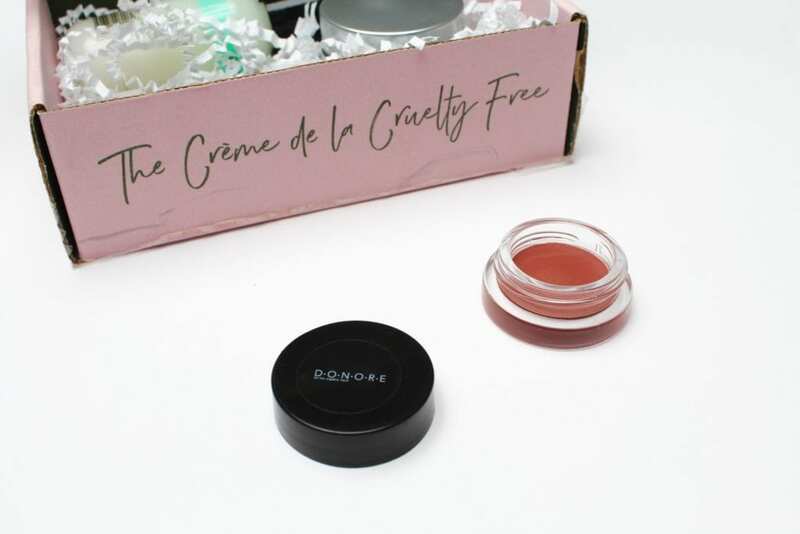 This was the other full-sized beauty item in the November 2018 Petit Vour box. It’s a comforting hand balm from Metta Skincare made from organic, fair trade shea butter, olive oil and calendula extract. We loved this product. You need to warm it up in your hands a bit to get it to melt, but once it’s warmed the texture is creamy and the product hydrates dry skin well. This product is best used as a hand balm. However, this product could also be applied to any cuts, scrapes or scars because calendula has healing properties. Evolvh’s vegan styling lotion is a 5 in 1 botanical hair cream that creates volume, holds style, de-frizzes, adds shine and defines curls. It has a nice smell and a lightweight texture. This product is best to use on curly or wavy hair, but it does add a nice shine and a natural hold to all hairstyles. This clean, healthy fragrance has notes of orange blossom, jasmine, rose, lime blossom and sandalwood. The scent is light and fresh, which makes it perfect to wear during the day. 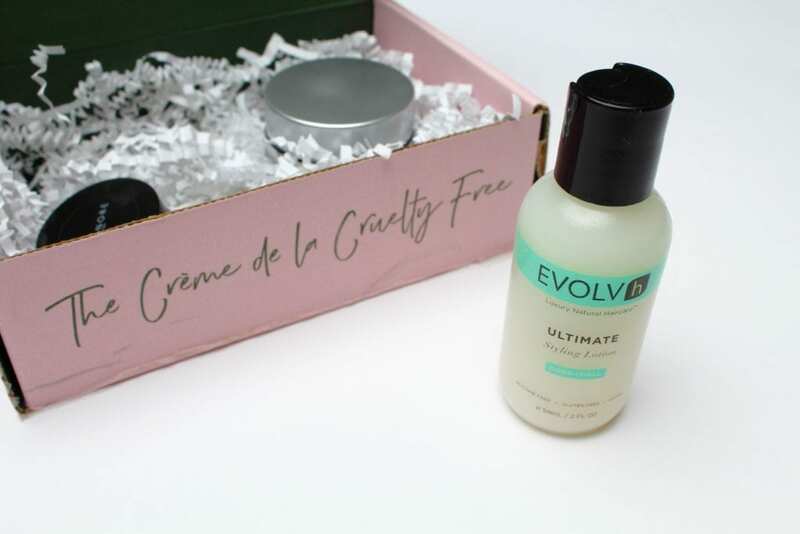 After our full Petit Vour review, we feel that this is an awesome, monthly beauty box to subscribe to if you’re looking for an affordable way to try out new vegan products. At just $15 a month, the value of this box is a great deal. You’ll always find cruelty-free, non-toxic, and vegan beauty products worth between $45-60 inside each box. We feel like this box is a great option for people who like to buy products that you can feel good about. If you’re interested in subscribing, learn more. 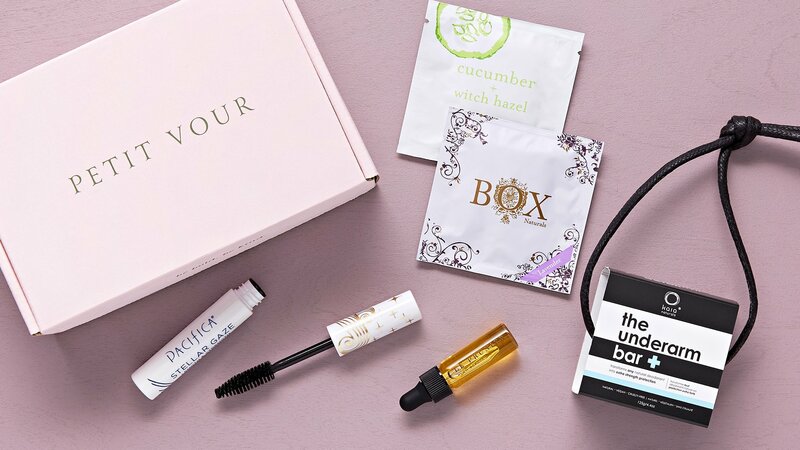 Have you tried this beauty subscription box? If so, leave your own Petit Vour review below.